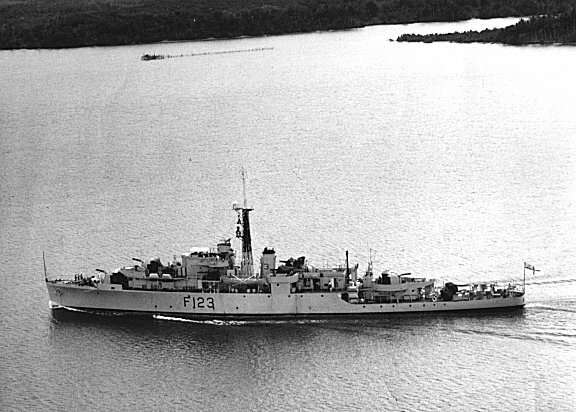 Loch Class Frigate: One of twenty-six. Specifications: 1,580 tons. 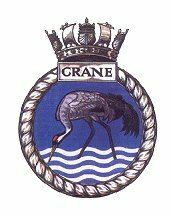 Laid down as Loch Scamadale then renamed Dundrum Bay - 1944 (Blyth SB, Blyth). Completed - 1946. Complement 157. Converted to Despatch Vessel and renamed Alert - 1946. 1944 - As Dundrum Bay. 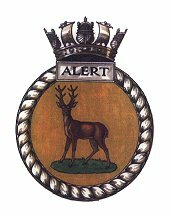 1946 (October 24) renamed Alert after completion of conversion. 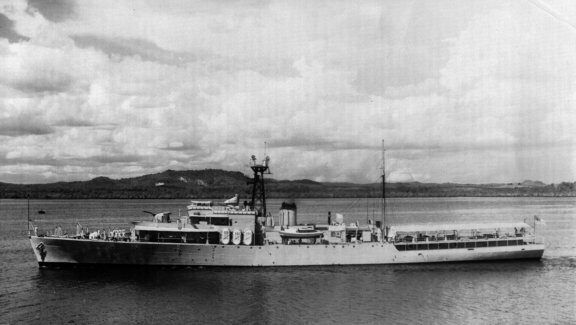 1946-64 Based in Singapore as Despatch vessel for C in C Far East Station. 1950-51 - Patrolled off Malaya during Emergency. 1951 - Carried out bombardments of Korean coast. 1952 - Went to assistance of SS Taikinshan in South China Sea. 1956-57 Took part in atomic bomb tests Monte Bello Islands. 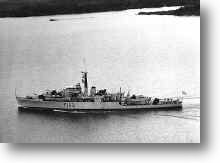 1964 - Arrived Devonport (UK) and placed on disposal list. 1971 - (October 31) Arrived at Inverkeithing to be broken up. Modified Black Swan Class Frigate: One of twenty-one. Actaeon, Magpie, Peacock, Alacrity, Chanticleer, Crane, Hind, Mermaid, Opposum, Snipe, Sparrow, Amethyst, Hart, Cygnet, Kite, Lapwing, Modeste, Neiride, Pheasant, Redpole, Cauvery, (Royal Indian Navy). Specifications: 1,350 tons. Laid down (Wm. Denny, Dumbarton) 1941. Completed May 1943. 1943-49 - Atlantic & Pacific. 1949-50 Reserve, Chatham. 1951-62 - Based on Singapore, Far East Station. 1954 - Refit, Hong Kong. 1962 - Paid off, Portsmouth. 1962-65 - Reserve, Portsmouth. 1965 (March). Broken up. Queensborough. Battle Honours: Cadiz 1596, Belgian Coast, 1914-17, Biscay, 1943, Sicily, 1943, Altlantic, 1943-44. Normandy, 1944. English Channel, 1944. Okinawa, 1945. Korea, 1952-53.